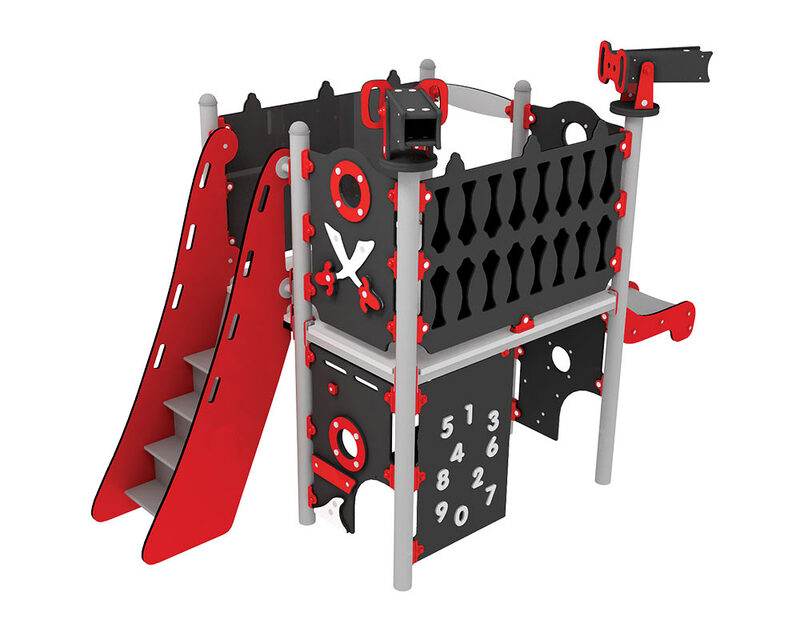 Captain Jones was made to create a bigger play structure with lots of fun activities. There are two mobile telescopes, a number board, a machine room below and last but not least a slide. Captain Jones was developed considering the latest findings regarding children’s motor and learning development.